While most of our permanent teeth have come in by early adolescence, certain teeth don't begin erupting until somewhere between the ages of 15 and 25. These teeth are commonly known as the wisdom teeth. They're also known as the third molars because of their shape and because they erupt at the very back of the mouth. Despite developing naturally, our modern jaws don't actually have enough room to accommodate these teeth. As a result, allowing them to erupt can lead to a range of serious complications. The two most common are crowding and impaction. Why Choose Murphy Family Dentistry for Wisdom Tooth Extractions? 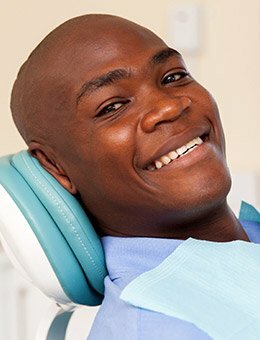 What Are Crowded & Impacted Teeth? When crowding occurs, existing teeth are pushed out of their correct position, creating alignment issues. Crowding can also lead to a greater risk of gum disease, in addition to the development of cysts or tumors. These complications can all lead to a lifetime of dental trouble. In other cases, your wisdom teeth may try erupting in whatever direction they can: sideways, vertically, backwards, or forwards. When they get stuck, this is known as impaction. Bony impaction is when your wisdom teeth become stuck while still encased in the jaw. Soft tissue impaction occurs when they become stuck just before erupting through the gums. Having an extraction procedure completed may not sound like a lot of fun, but our experienced team will make your visit as comfortable as possible at our Murphy office. If you have any questions or concerns, we'll be happy to address them. 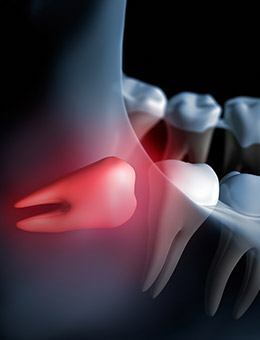 If you're experiencing wisdom tooth pain, please contact our office for a free consultation. For your comfort, we offer sedation dentistry.